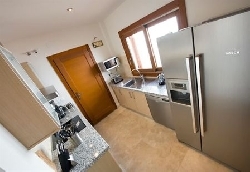 Villa Nova is a stunning Polaris World El Valle Resort 3 bedroom Front line Golf Villa. 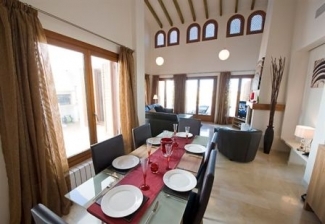 A very bright and airy villa with private pool and views onto the mountains as a backdrop. Utility room includes washing / dryer machine, and iron with ironing board. 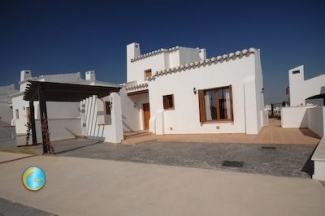 The perfect location for the serious golf enthusiast with some of the best golf in Spain. 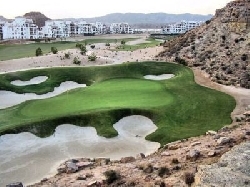 With a choice of 4 Jack Nicklaus Golf courses all within easy reach. San Javier Airport is a 20 min drive. Alicante Airport is a 50 min drive. Murcia City is 15 min drive. Beautiful beaches of Mar Menor 20 mins drive. 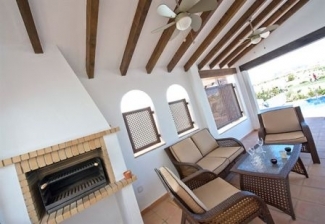 El Valle is in a superb location, nestled at the foot of the Carrascoy mountains but only 10 kilometres from the city of Murcia but still only a 20 minute drive away from the beautiful beaches of the Mar Menor. With miles of sandy beaches the Mar Menor is an inland sea which means the water is always warmer, usually 5 degrees warmer than the Med, has no currents and no sharp drops making it perfect for children, plus there is so much of it, it is never packed. It is also very popular for its water sports, jet skis, waterskiing, diving etc. As a guest you will have unlimited access to the golf and facilities on this and other Polaris World Resorts.